ACH vegan chocolate was re-born in 2014, fueled by passion for health and love for dessert. But our journey started a couple of years earlier. We are Karolina and Simona – two young entrepreneurs who met at University. Right from the start, we knew that we share similar virtues, a soft spot for all things romantic – and became quick friends. When an opportunity to try ourselves in the chocolate business came – we took it without thinking twice. Soon we realized that we could not imagine ourselves elsewhere. What can be better than dark, rich chocolate for two helpless romantics? We understand how big of responsibility is creating quality recipes for others to enjoy. When working with ACH vegan chocolate, we became mesmerized with the energetic qualities of this superfood. 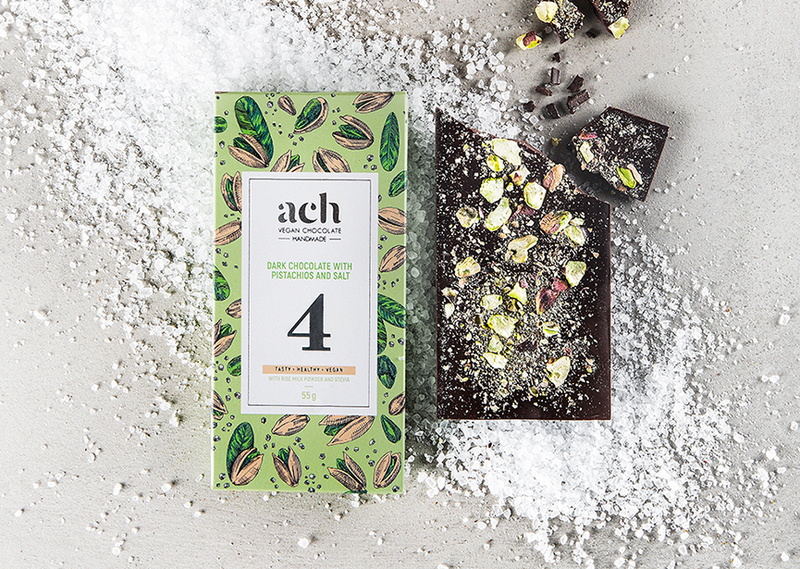 For us, ACH is more than a chocolate bar – it’s our lifestyle, a daily motivation to be better, a constant inspiration to create guilt-free, handmade, healthy vegan desserts and share it with the world. Creating food is a big responsibility that we take head-on every single day. We pursue a vision to change the way people think about chocolate, and to help maintain a healthier lifestyle to those who just cannot go a day without it! Our only goal is to impress ourselves and our clients, and that is what we work on – day and night. ACH chocolate is a healthy sin. Taste it without remorse. Every month we give a part of our profit to those who suffer the most – kids with oncological and diabetic illnesses. We have a big, beautiful dream to provide every little patient with pain-relieving sensors. Help us make it real together!